Remote working or ‘working from home’ has become increasingly popular over recent years and with good reason. Businesses are changing and, in turn, so is the requirement for us all to be herded like sheep into grey office spaces miles from our homes. Business owners are starting to realise that certain employees can actually increase their quality of work and levels of productivity by being allowed the flexibility of remote working. However, with an ever expanding global workforce, it’s becoming more and more important to be aware of the issues that arise in regards to effectively managing productivity within more productive remote teams, once you know what these are you can then decide whether or not it is a astute move for your business. Building trust between a manager and employee; if they aren’t sitting at their desk where you can see them, then how do you know they are working? If this isn’t addressed early on and you don’t have management information to see how and what they are delivering it will be an issue and one that could spiral out of control. If you have employees working remotely within different time zones, this may lead to a feeling of isolation for team members. If your employees also speak different languages there’s an added level of communication to factor in in order to make the team and business work. A business that has their whole team or the majority of it’s employees working remotely will likely have to work harder than most to ensure it’s company culture is established and that individuals well-being is looked after. Remote working can cause a lack of team communication and therefore a poor company culture and team community – leading to employees feeling disconnected from the overall company mission and goals. A clear company culture and a feeling of purpose are essential for creating a motivated team, without these the team can begin to feel isolated and employees may become dissatisfied with their roles. Policies and processes for office and online security are fairly straight forward to manage, but when you have remote workers the needs of those individuals may change because their working set-up is different. If appropriate security procedures aren’t dealt with as part of the remote working set–up, it could cause major issues and potential danger to business functionality. If remote workers feel unsupported or at risk this can quickly lead to disengagement and a loss of productivity. The inability to ‘turn off’, is an ongoing issue for all workers, but these issues seem to increase with remote workers. Working from home can lead to longer working hours and no real definition between work and home environments, this can result in longer or unpredictable hours worked, increased stress, a strain on personal and professional relationships and the threat of one or both sides taking advantage. Having a balance between work and life is a very important and even more so now companies are offering new and improved perks to help support workers. Having a balance between work and life is very important and even more so now companies are offering new and improved perks to help support workers. 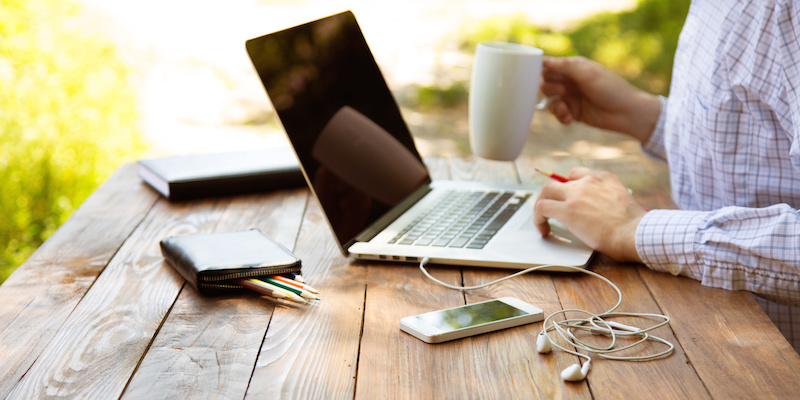 Remote working can be a great incentive for employees – encouraging trust and reducing travelling time and costs. But on the flip side it can become a negative issue that results in low engagement, lack of productivity, burn out and even resignations. It’s worth remember that working remotely can be difficult and isn’t for everyone, especially if you are unable to define the difference between remote working and under-working! Please be aware that a failure to address these challenges can cause decreased productivity and employee engagement, an impact on overall team morale, increased employee turnover and a negative impact on business outcomes. If you need any help or guidance with managing remote teams do get in touch.